Designed with safety and comfort in mind. 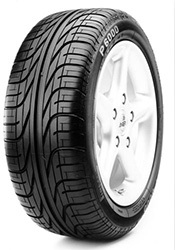 the New Pirelli P6000 has been manufactured to the highest standards and incorporates some of the latest safety features and even manages to improve perfomance by increasing the tyres tread print and using technology that helps to change the treads behaviour based on the road surface. This all amounts to a safer and also longer lasting tyre, helping both you and the enviornment money. The new wave tread design incorporated in the Pirelli P6000 Powergy encompasses an almosts continuous tread block, with water dispersal channels further enhanced to ensure the tyre is highly resistant to aquaplaning.